I kept the 4 triangle design behind the photo, and switched my embellishments to opposite corners. I used a Heidi Swapp stencil along with gray paint for the dots, moving it to just random places on my background paper. This worked well to give me a large design from a small stencil. *supplies - paper: Crate Paper, embellishments: Crate Paper, Thickers: Pink Paislee. Stencil: Heidi Swapp, stamp: Becky Higgins, paint, ink. 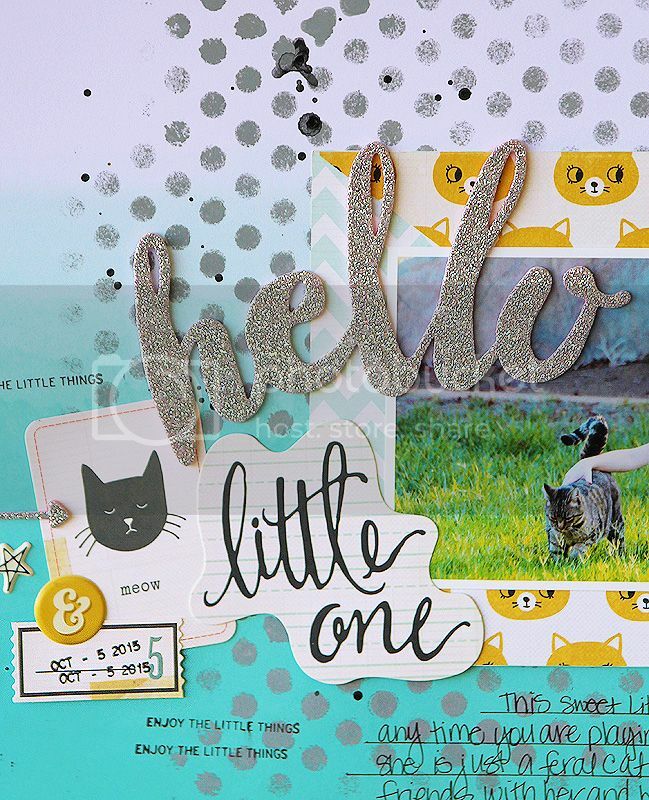 What an adorable layout! So sweet!